Courtesy: Hopeless Records/Reybee , Inc. The wait is almost over for fans of Taking Back Sunday. The band announced recently that it will release its new album Tidal Wave this fall. And in anticipation of its release the band has also announced that it will embark on a series of intimate club dates this fall. Taking Back Sunday will release its new album Tidal Wave on Friday, September 16th via Hopeless Records. Fans can pre-order the album online now here. In anticipation of the album’s release the band will embark on the “Tidal Wave Tour 2016” beginning September 17th in Omaha, Nebraska. The five-week tour runs through October 23rd in San Francisco, CA and also includes dates in New York, Texas, North Carolina, and many other states. 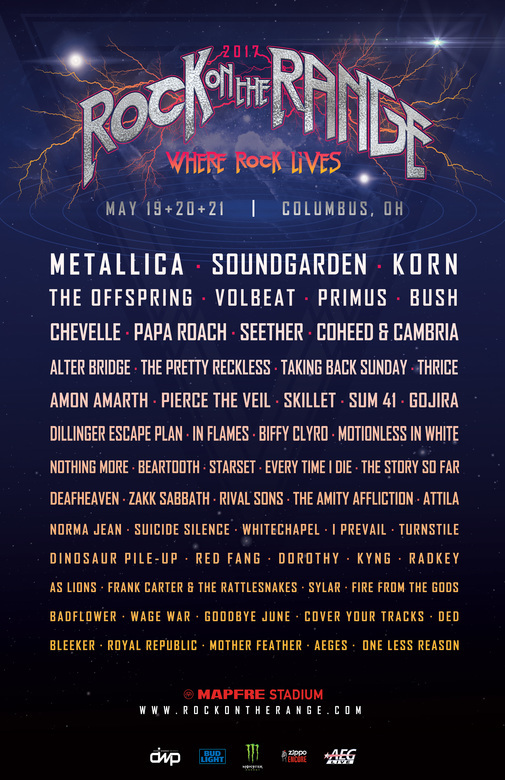 The complete schedule for the upcoming tour is noted below. Tickets go on sale for the tour Thursday, July 21st at 10am local time. New Jersey may not be one of the most popular states in the nation. But the “armpit of America” has proven for decades that it is anything but that. Being home to the likes of the New Jersey Devils from the NHL, and music legends such as Bruce Springsteen and Jon Bon Jovi, the “Garden State” exhibits just as much diversity as a floral garden. Now another band has come along in the form of Stories of Living to add even more diversity to that culture “garden.” The five-piece pop punk band (formerly Time Will Tell) has officially released its debut album Save Your Breath and is streaming it in full via YouTube. The twelve-track album instantly conjures thoughts of New Found Glory, Taking Back Sunday, and A Day to Remember just to name a few comparisons. That being the case, it is a good record for any pop punk fan from start to finish beginning with the album’s opener ‘Enough is Enough.’ The up-tempo rocker centers on a relationship gone bad but musically is not one of those oh-woe-is-me style pieces. It makes for a solid opener and first impression for the band. ‘Enemies Like Me,’ which comes just before the album’s midway point, is another standout track for the band. Its standard pop punk approach makes it just as engaging as any of the album’s other offerings. In regards to its lyrical content, front man Chris Rivers, leaves nothing to question in terms as he sings about fake friends and how they need “enemies like me.” It isn’t a negative piece despite its title. Rather it’s a song sung from the standpoint of someone saying to said fake friends that they need to be put in their place; someone to show others how fake they are. This is something to which listeners of all ages can relate, not just the band’s likely intended younger audiences. ‘Skin Deep,’ is another example of what the band’s fans and pop punk fans alike will enjoy about this record. It is that standard acoustic piece that seems prevalent in so many other pop punk, emo, etc. style records. But it is also rather interesting lyrically. Thanks to its lyrical content, it will definitely have listeners both thinking and talking. Whether for this song, for the album’s opener, or for the likes of ‘Enemies Like Me,’ Stories of Living shows in its debut record to be a good first effort for the Sparta, New Jersey-based band. The same could be said of any of the album’s other offerings, too. Altogether, the twelve tracks that make up this record offer plenty of value for the pop punk legions out there and in turn make ‘Save Your Breath’ an album that every pop punk fun will want to hear at least once before this year is out. 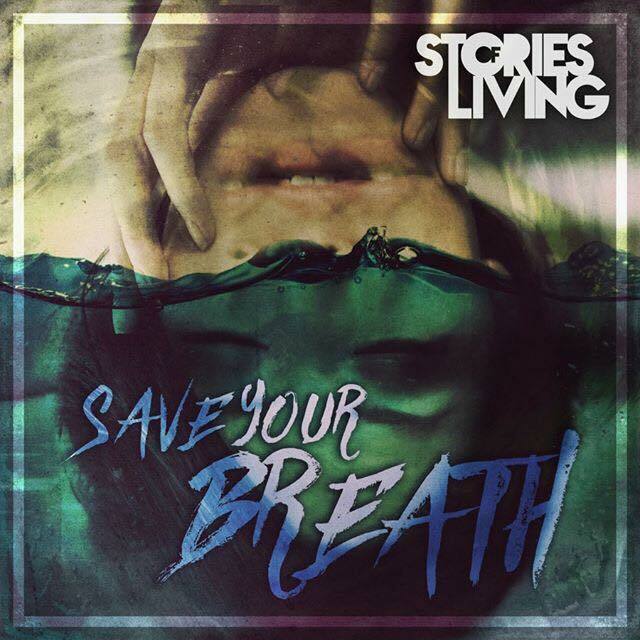 Stories of Living’s debut album Save Your Breath is a good first effort for the Sparta, New Jersey-based pop punk outfit. That is thanks in large part to the fact that the album’s twelve total tracks instantly remind audiences of other more established pop punk acts such as New Found Glory, Taking Back Sunday, and A Day To Remember. Even with such similarities, the work of the band’s members–Chris Rivers (vocals), Bob Alcavage (guitar), Mike Larned (guitar), Nick Borelli (bass), and Mike Tizzano (drums)–still leads to a record that holds its own against those more well-known acts. That is obvious in the album’s opener ‘Enough is Enough.’ Right from the song’s outset, it instantly conjures thoughts of New Found Glory through its musical content. Rivers’ lyrics seemingly centered on a relationship gone bad will entertain listeners just as much. He sings of the relationship, “Is it alright/If I don’t know what it means to have a good night/Or that I’m just now believing it’s the truth/And now I see/That you always planned to use me…the only thing I want to tell you is/Enough is enough/And I don’t want to hear it/I’m wasting my time while you’re breaking my spirit/Keeping in mind all the time that you wasted/I don’t think that you have what it takes to make it/Judging by the fact that you’ve given up so slowly/Dragging me along/Did I really look that lonely/You may look fine tonight/But don’t think you have what it takes to make it right.” This is just the song’s lead verse and chorus. The remaining lyrical content is quite similar to say the very least. But that verse alone drives home this song’s topic clearly and efficiently. What is really good about the overall lyrical content of the song is that it isn’t one of those oh-woe-is-me style songs about a broken relationship. Rather as Rivers notes, “Now I see that you always planned to use me…the only thing I want to tell you is enough is enough,” it is a song in which the subject presents great personal strength. This is someone that finally saw the light rather than being blinded and is determined to make a positive change. That and the song’s positive musical tone come together to make this song again, a good starting point for the band on its debut record and an equally good representation of the band’s offerings on this album. ‘Enough is Enough’ shows itself to be a good starting point for SOL’s debut album and an equally good representation of what the band has to offer in the album in whole. It is just one song that serves as a good representation of the material that makes up the album’s body. ‘Enemies Like Me’ is another good example of what makes this record a worthwhile listen for any pop punk fans out there. In regards to its musical content it is another familiar piece for pop punk fans with the percussive nature of the guitar lines in the song’s opening bars and the catchy hooks and riffs that follow. The lyrical content is just as accessible for listeners. That is because of what would seem to be the song’s lyrical theme. Considering the lead verse in which Rivers sings, “Friends stay friends but now it’s all too late/It’s not the same/Losing friends with false intentions/Just don’t seem/I’m better off/Learning the hard way/I tried for the last time days ago/How could I know the outcome/We’ve changed in the past three years, I know/Nothing like/You’d better know/So/Don’t think you have me all figured out/Cause if you knew me you’d know better than to open your mouth or call me out.” That’s a pretty clear statement. And its a statement to which listeners of all ages and kids can relate. There are just as many adults like the ones that Rivers’ subject sings about as there are younger people like those people. What’s more , Rivers isn’t really exaggerating about those people, either. Because it boasts such an ability to relate to such a broad spectrum of listeners, this song shows even more why it is another good representation for SOL’s debut record. ‘Enough is Enough’ and ‘Enemies Like Me’ are both good representative songs for SOL’s new album Save Your Breath. While both songs show in their own way why pop punk fans will appreciate Save Your Breath, they are not the album’s only good representative songs. ‘Skin Deep’ is one more good example of what said fans can expect from this record. It is yet another standard style pop punk piece that most listeners will recognize in regards to its musical content. That being the case its lyrical content lies at the center of its success. Rivers sings in the song’s chorus, “It’s killing me to say please/Don’t take away the only thing/That makes me me/I’m only skin deep/And happy in my sleep.” He adds to this by singing in the chorus’ refrain, “I’ve gotta believe/This world will take me somewhere when my life succeeds/A dream/So please don’t ever wake me.” Whether Rivers is speaking metaphorically here or literally from the point perhaps of someone struggling with thoughts of depression would be interesting to learn. the supposition of someone struggling with depression comes as he sings about being happy in one’s sleep. It could easily be interpreted that the sleep in question is one’s daydreams, not literally sleep. That could lead to the interpretation of someone saying that he or she is only happy in their daydream world, and that they don’t want that taken away. This is, as always, just the interpretation of this critic. It is not gospel. It could very well be wrong. Regardless, Rivers’ ability to generate so much discussion makes it just as worth the listen as the previously discussed songs or any of the album’s other nine songs not directly noted here. Whether for those songs or for the ones discussed here, it can be said of Save Your Breath in whole that it is in fact a record that any pop punk fan will want to hear at least once.